"Dr Amir and his staff are wonderful, inviting, and so fun! Thank you Dr Amir and staff!" "Dr Amir Jamsheed is an amazing and caring doctor. He has wonderful customer service." "Dr Amir is such an amazing dentist. He is honest, fair, and thorough." $59 New patient Cleaning, Exam, Digital X-rays & Teeth Whitening! * New non-insured patients only. $369 value. Limit one per patient. Not valid with other offers or for price service. No cash value. Cleaning is a regular cleaning and in the absence of periodontal disease. Teeth Whitening is a kit. 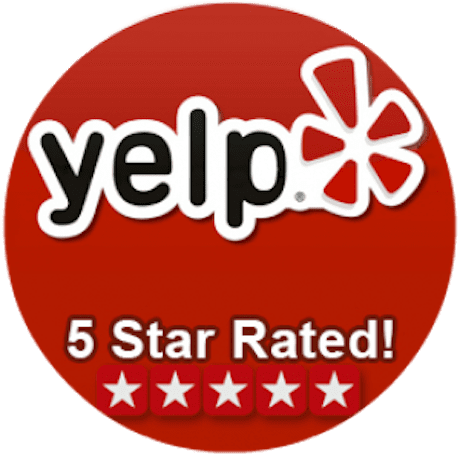 We're a 5-star rated practice on Yelp! Dr. Amir H. Jamsheed is a leading dentist practicing at Encino Dental Studio, located on Ventura Boulevard in Encino, California and serving Tarzana, Sherman Oaks, Studio City, Van Nuys, North Hollywood and surrounding areas. Dr. Jamsheed provides a wide variety of dental services including orthodontic treatments such as Invisalign®, dental implants, veneers, crowns, teeth whitening, root canals, oral surgeries, emergency dental services, and treatment for sleep apnea. Dr. Jamsheed is dedicated to his patients and takes the time to ensure they understand their dental health and what they can do to prevent tooth decay and damage. Dr. Jamsheed is a Southern California native, born and raised in Torrance, California. While pursuing his undergraduate degree from UCLA, Dr. Jamsheed was the recipient of three different scholarships. He received his Bachelor’s of Science degree in Biochemistry in 2002. He then went on to receive his Doctor of Dental Surgery from the prestigious University of Southern California in 2006 with multiple Dean’s List honors. Dr. Jamsheed is a current member of the ADA, CDA, and Kern county Dental Society. Dr. Jamsheed is committed to delivering the highest quality care to his patients. In addition to his formal education, Dr. Jamsheed continuously furthers his knowledge of dentistry by attending continuing education seminars. His experience, caring personality, and dedication, as well as his in-depth understanding of today’s technology, allow Dr. Jamsheed to offer the latest dental care to his patients while keeping in mind affordability for all treatments. Dr. Jamsheed is currently welcoming new patients. He looks forward to meeting you to the practice and building a long term relationship with new patients. Most major forms of insurance are accepted. Brushing your teeth is more than just keeping halitosis in check and getting rid of visible food particles. Your toothbrush is a tool that can help you stay healthy, not just for your teeth, but for your whole body. Are you doing it right? It is extremely important to take care of the baby teeth. The best age for children to see a dentist for the first time is around 2.5 to 3 years of age. We use the appointment to create a friendly relationship with the child and make your child feel comfortable. We also want to make sure there are no major problems that need immediate attention or no preventive steps to be taken to avoid major problems. There are many reasons for taking care of the baby teeth. The first and most obvious reason is that we don’t want baby teeth cavities to go un-noticed; if cavities are not filled as soon as possible, the decay can progress to the nerve of the tooth and cause pain and INFECTION. The other, less obvious, but extremely important reason is that baby teeth serve as space maintainers for the permanent teeth, ensuring that there is adequate space in the jaw for the permanent teeth to erupt. If baby teeth are lost prematurely space in the jaw is also lost, making it impossible for the permanent teeth to fit properly once it develops. If adequate spacing is lost, the child might experience a range of problems that could be costly to correct. One of such problems is teeth crowding, which is incorrect positioning and rotation of the teeth in the jaw most commonly known and observed as crooked teeth. Another problem that might occur if baby teeth are lost prematurely is the complete prevention of eruption of permanent teeth altogether. Depending on the degree of severity of the problems either orthodontic (braces) or braces and surgical treatment may be necessary to correct the problem. However, early detection and preventive measures could help parents avoid such costly problems in the first place. We accept most major insurances. Please see the full list of plans. If you do not see yours please call our office to see how we can help.